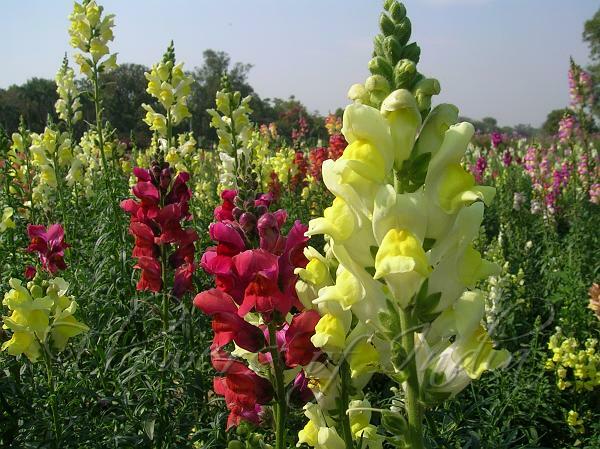 The flower which goes by the name of dog-flower in India, is known as snapdragon in other places. Dog flowers, like many garden flowers, have a long history of enjoyment. Children love opening the jaw of the flower and watching it snap shut. Opening the dog's jaw in just the right place is a skill passed down from parent to child just like the love of gardening. Dog flowers are available in every color but blue. 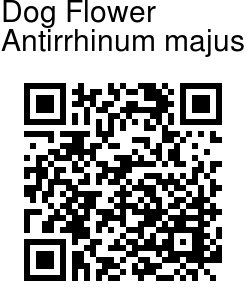 They are, in botanical terminology, zygomorphic, with assymetrical petals, and stamens and stigma enclosed between the two petal lips comprising fused petals. Dog flowers have upright stems dressed with two-lipped tubular flowers. The gradual opening of the buds provides color for an extended period of time. Although technically short-lived perennials, snapdragons are usually grown as annuals. Most cultivars come true from seed. Native originally to North Africa, Spain and along the Mediterranean to Italy, snapdragons have become naturalized in India.